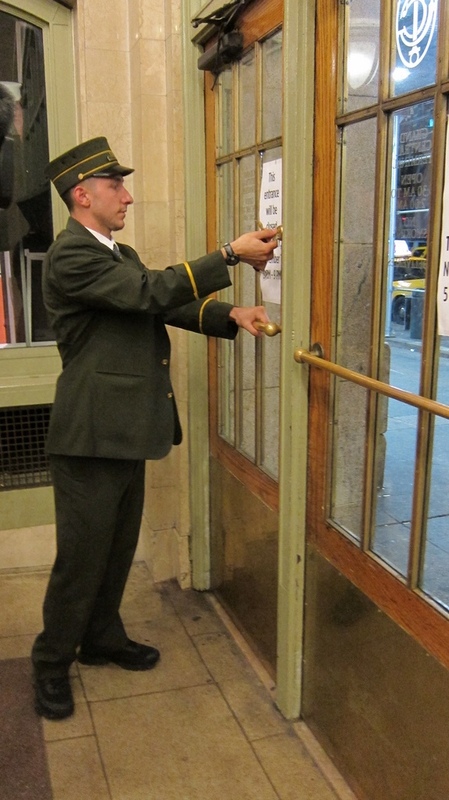 Top — the doors to Grand Central Station in New York are locked Sunday evening. 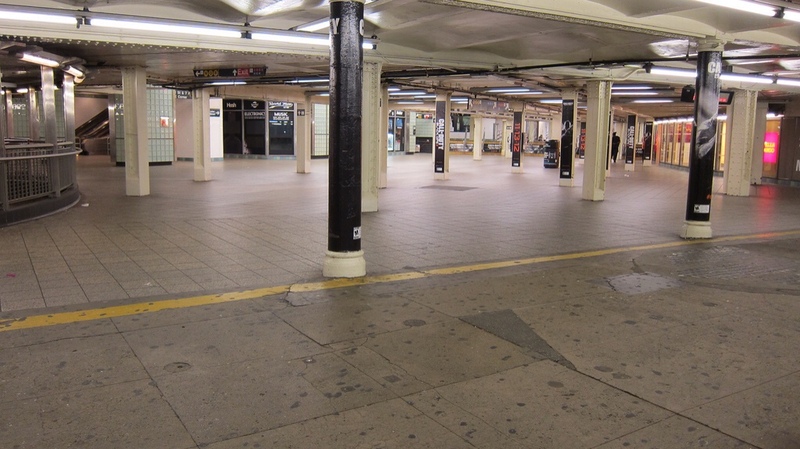 Middle — an empty subway station in Manhattan. Bottom — the signs at Grand Central say it all. Photos are from the New York MTA's Flickr page. That’s the main concourse of the Times Square subway station in the middle photo. That space is always bustling, even late at night. 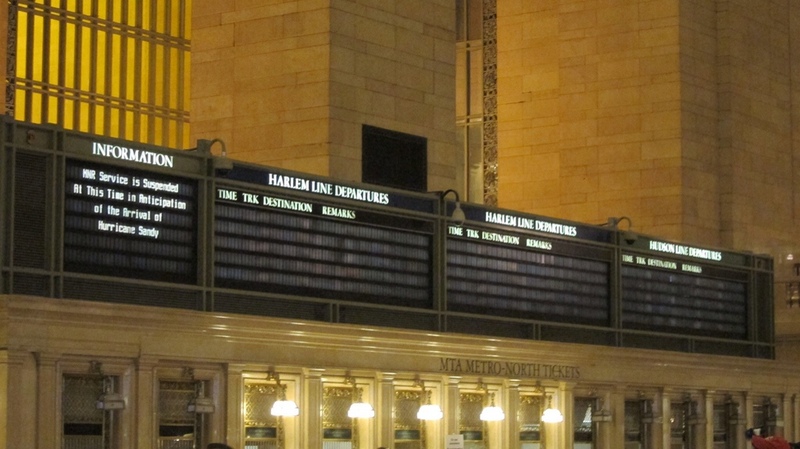 That’s not just any station…that’s Times Square, the busiest in the NYCT system. Stay safe, East Coasters. How big of a storm before they usually shutdown the transit system? The name of the big Railroad facility in New York is Grand Central Terminal. It is not a through station.